Steve Goodson has been involved in some aspect of the music business on a professional basis since 1963, when he started taking money for playing. Steve retired from active performance in 2003 for reasons of health. But prior to his retirement, he performed with Solomon Burke, Eddie Money, Dr. John, Marcia Ball, Chubby Checker, Vince Vance, and many, many other internationally known performers. He has also done hundreds of recording sessions and played thousands of live gigs everywhere from huge stadiums to tiny bars. Steve started doing repairs on his own horns in 1964. As he got more skilled his following increased to include such luminaries as Maceo Parker and the late Michael Brecker, along with hundreds of loyal customers from all over the world. 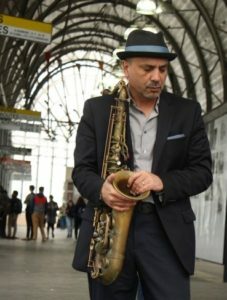 His repair experience led to instrument design and his articles about saxophone design have been widely published by music magazines in North America, South America, Europe, and Asia. He currently writes for every issue of Saxophone Today (www.saxophonetoday.com) and freelance writing for other publications. 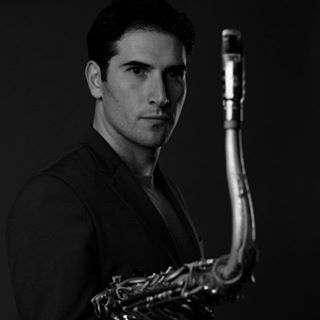 Sam Dillon is one of the top call tenor saxophone players on the New York scene. In this episode we caught up with Sam and our chat is both informative and inspiring to anyone looking to know what it takes to make it today as a jazz musician. Sam’s approach to the music and being a musician is refreshing. He truly is in it for the long haul and genuinely loves what he does. Sam is also preparing for a big year of releasing recordings and continuing his packed and exciting schedule of gigs. Enjoy our interview with the great, Sam Dillon! What checking out the legendary recordings did for Sam at the start of it all. Important teachers in Sam’s life that led him down the right path. How Sam makes sure his incredible saxophone technique stays up to par. Performing in the Monk Competition. Sam answers our 5 questions! His repair experience led to instrument design. 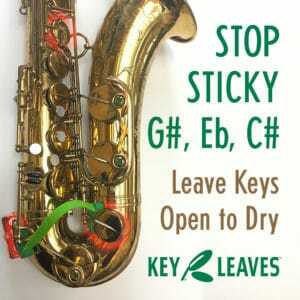 Steve’s articles about saxophone design have been widely published by music magazines in North America, South America, Europe, and Asia. He currently writes for every issue of Saxophone Today (www.saxophonetoday.com) and freelance writing for other publications. 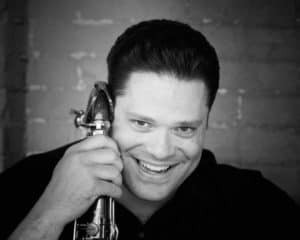 Paul Haar is the creator of the online magazine TheSaxophonist.org and is also an Associate Professor of Saxophone and Director of Jazz Studies at the University of Nebraska-Lincoln. 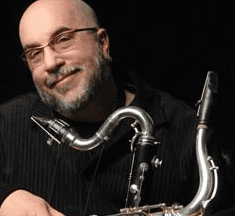 Paul is a mover and shaker in the world of saxophone and has some great things to say about teaching, performing, and the industry at large. 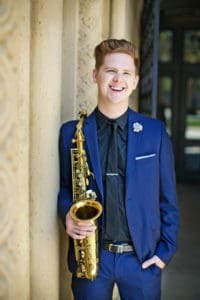 We caught up with Paul as he is preparing to embark into his second year of running and publishing TheSaxophonist.org. We talk a lot about what goes into publishing a fine magazine of this caliber. We also got the chance to talk to Paul about running the saxophone studio at the University of Nebraska. He has some great tips for prospective students as well as tips to make the most out of your college experience. 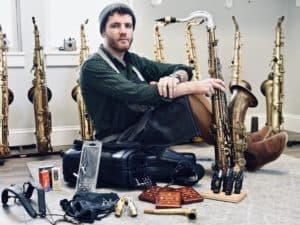 We also bend Paul’s ear for some insight on where the industry is in general and some of the things to watch out for in the coming year in regards to the saxophone and the industry surrounding everyone’s favorite instrument! Paul’s teaching style and what his entire studio seeks to accomplish. Tips for high school saxophonists looking to be accepted into a studio like Paul’s. 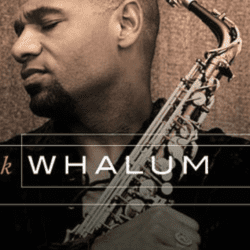 Why he started his online magazine, the saxophonist.org. How he assembled his team of reviewers and writers for the magazine and what they do for the publication. What Paul is looking forward to in the coming year for his publication. How Paul sees the industry and saxophone world going forward. Paul answers our famous five questions! Tim is a world-class artist, performer and educator worldwide, a Berklee College of Music graduate and one of the country’s foremost woodwind artists. Tim has played with musicians like Bennie Green, Hans Dulfer, Lew Tabackin, Ray Drummond, Jon Mayer, Greg Bandy, James Gadson, Don Patterson, Billy James, Major Holley, Alan Dawson, Bill Doggett, Jack Mc Duff, Cecil Payne, Richie Cole, Charlie Watts from the Rolling Stones, Gary Burton, Doc Severinson, Dr. John, Lew Tabackin, Charlie Mariano, Shirly Scott, Trudy Pitts, Bootsie Barnes, Sonny Stitt, Ernie Krivda, Rachel Z, Larry Young, George Young, Sweet Sue Terry, Greg Piccolo & Super Heavy Juice and Claire Daly. He’s performed in the big bands of Tommy Dorsey, Cab Calloway, and Harry James. He’s played soul and rock shows with Aretha Franklin, Billy Paul, The 5th Dimension, Lou Christie, Lloyd Price, Four Tops, Ike Turner, Lynyrd Skynyrd and many others from that idiom. Tim was a featured writer for the Saxophone Journal, and still contributes regularly to the online Sax on the Web website forum. Tim performs and does clinics throughout the world. He teaches private instruction in New York City and from his home studio in Reading, Pennsylvania. 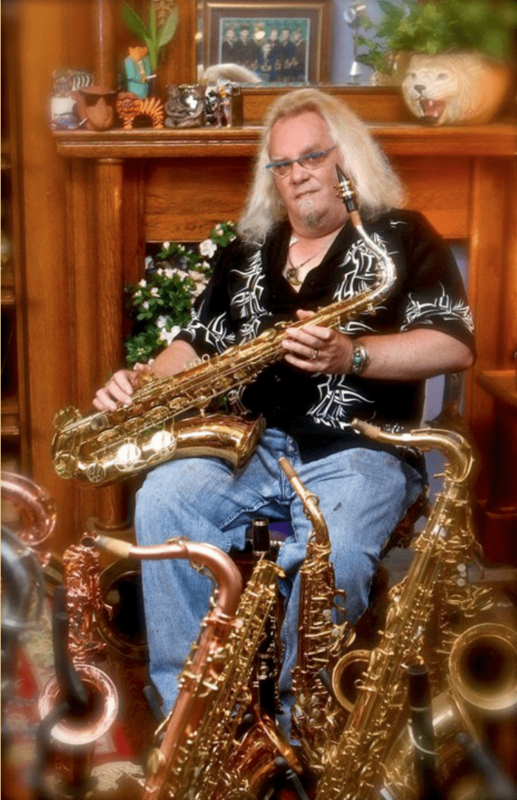 Jack Finucane is the owner of the Boston Sax Shop, a full service horn repair and retail shop in the heart of Boston. 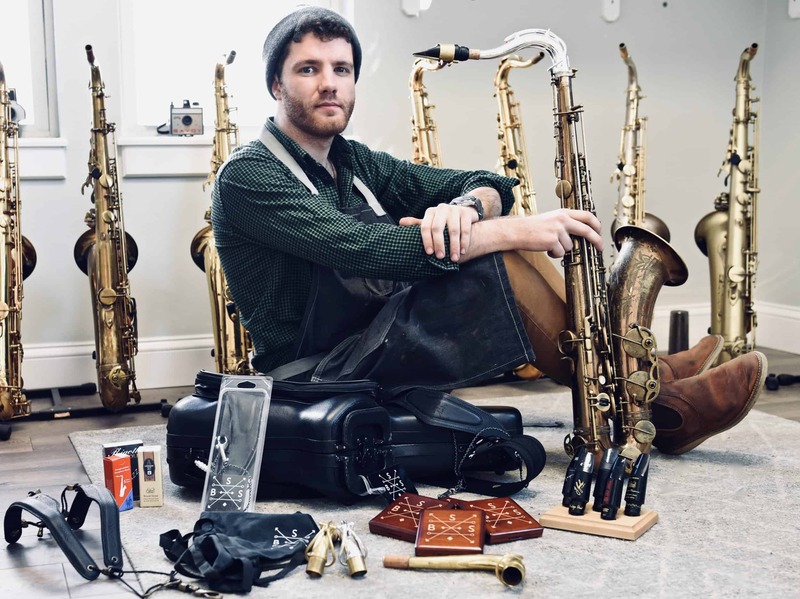 Jack is making waves in the saxophone world by creating his own extensive product lines, curating some of the best saxophone products and accessories for sale in his shop, and generally being one of the best repair techs in the world. Jack works tirelessly to bring awareness and clarity to taking care of your largest investment, your instrument. Jack is also a really nice guy and was very generous with his time and energy educating all of us about the intricacies of our equipment and how it can help us to be better players. How Jack got into the world of repair and ultimately decided to open up shop in Boston. The nerve wracking process of starting to work on professional horns. Some tips on preventative maintenance of your own horn. The Selmer legacy and why Jack believes so much in these instruments. Jacks own product line and getting into the world of creating products from scratch. The future of the industry and what to be hopeful for a weary of. 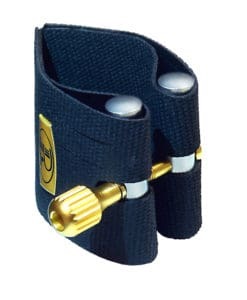 Visit the Boston Sax Shop Online! Connect with Jack on Facebook! Follow the Boston Sax Shop on Instagram! This week we had a great conversation with Marco Pignataro. Marco is the director of the Berklee Global Jazz Institute in Boston as well as holding numerous high level positions in jazz festivals, organizations, and institutes across the globe. 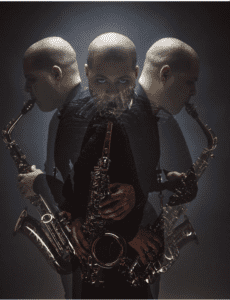 When you combine that with his amazing ability as a saxophonist, you get the total package! Marco is a true ambassador of the music and we speak at length about what that means to him. Marco also has a brand new album that features Adam Cruz, Alan Pasqua, Eddie Gomez, and George Garzone titled, Almas Antiguas. This album is truly inspirational and the playing is really pushing the boundaries forward. Please enjoy our interview with the great, Marco Pignataro! What it’s like to be a truly international artist and educator and to live as a citizen of the world. Growing up in Italy and then making the move to the United States. Holding the position as saxophone chair at the Conservatory of Music of Puerto Rico. Heading the Berklee Global Jazz Institute. Marco answers our famous 5 questions! Check out Marco’s latest album, Almas Antiguas! Phil Rovner founded Rovner Products in 1974, when he created the Original Dark ligature. To this day, that ligature is still one of the top sellers in the entire Rovner catalog. Over the years, more Classic models were developed, such as the Light, the Eddie Daniels (the Versa replaced this one), and the Mk III. When George Reeder, current President and Co-Owner of Rovner Products took over in 2014, the ligature catalog has expanded to include the Next Generation ligatures: The Versa X, the Star Series, The Legacy, The Platinum, Platinum Gold and the Van Gogh. Since then, he and his wife and Co-Owner, Lynn, have developed more products, with some new surprises for NAMM 2019. George and Lynn are always innovating and making the ligatures better and better, just like their predecessor, Phil Rovner. You will want to take notes on this episode!